Trevor is back: computer game entrepreneur Les Edgar gained control of the British car brand, TVR, from Russian businessman Nikolai Smolenski in 2013. Under Smolenski, the famed Blackpool firm’s sports car production ground to a halt, and Edgar and his team have worked hard over the last few years to bring TVR bang up to date. 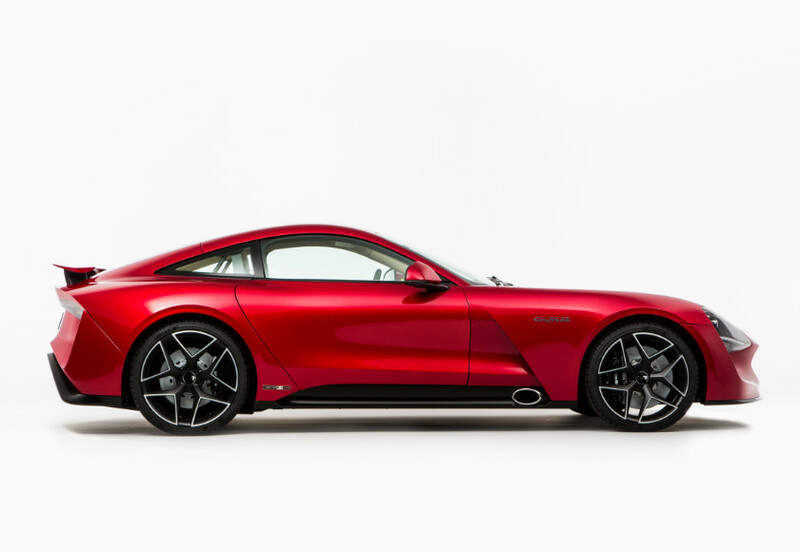 Visitors to the London Motor Show this month (May 17–20) can get to see the new TVR Griffith, priced from £90,000, up close. The name might be old (it dates from the 1960s, and was revived in the 1990s) but the new car isn’t a retro rehash of TVRs past. Instead, TVR has equipped it with a Ford five-litre V8 that’s been worked on by Cosworth, mated to a Tremec Magnum six-speed manual, all in a composite package that weighs 1,250 kg. TVR promises 400 bhp per tonne from the set-up. Inside, the instrumentation and infotainment system are driver-focused, says TVR. There is a fully digital instrument display in front of the driver, while infotainment is served on a portrait-oriented screen in the centre console. The new Griffith will be joined by some historical TVRs, as part of a Built in Britain display. Staff will be on hand to discuss specifics about the car. Edgar said, ‘In the design of the new Griffith, we’ve worked hard to ensure it is as usable in urban traffic as it is thrilling on a country B-road, so we’re delighted to show it in detail to visitors of the London Motor Show.